Hooray! You’ve hired a sales rep. The next step is vital to ensuring future success for your new team member: effective onboarding. According to The Bridge Group, more than 1 out of every 10 sales organizations has a turnover rate of 55% each year. Onboarding can be a major determinant of future achievement for sales reps. As a modern sales leader, it’s your job to get your sales hires prepped and ready in the first couple of weeks. One way to do that is to monitor the sales KPIs that provide visibility into onboarding. Much of the onboarding process for your new rep should include listening and learning about your product or service, company and industry. Set a goal for a certain number of demos or discovery meetings you want the new rep to attend and make sure some of those meetings are with top performers. This will help your newbie become familiar with your company’s ideal buyer and typical lead, as well as shape messaging. Don’t worry about setting this metric too high. The more conversations they observe, the better. Not all companies focus on teaching and advising their employees — only 44 percent report that they have some sort of coaching or mentoring program. But coaching your new sales rep is an integral part of the process. Have the rep request a certain number of mentoring sessions throughout the onboarding process, both from you (the sales leader) and other top members of your sales team. The mentor can perform a mock sales call or sit in on a discovery meeting and provide real-time feedback. Effective sales coaching sessions during onboarding will build trust with your new employee, as well as help them understand what behaviors will lead to increased sales performance. At the same time your new rep is being a sponge to everything going on in your sales organization, he or she also needs to take action. We all know that those first meetings will be hard. Let your sales rep know you’re aware of this, but that it’s important to get those initial few out of the way. Rip the Band-Aid off, if you will. When the rep starts meeting with prospects, he or she will get to know the buyer even more and refine their own messaging. Using sales KPIs within the onboarding process establishes a cadence of accountability and transparency with each new rep and prepares them for working on a metrics-driven sales team. As with your main performance KPIs, keep these centered around actions that are controllable and measurable. More than 1 out of 10 sales organizations has a turnover rate of 55% each year. 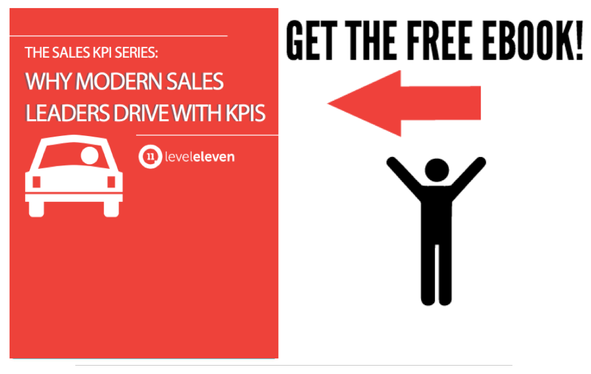 One way to prevent that is to utilize these sales KPIs during onboarding.